The second installment to ‘The Dark Tower’ series focuses on Roland Deschain recruiting what will become his fellowship on his quest, or his ka-tet, as he comes to call it. While travelling across a beach populated by murderous and carnivorous creatures known as ‘Lobstrosities‘, the lone Gunslinger begins to see how the world is beginning to change thanks to the Dark Tower’s influence. He sees three doors appear out of nowhere on this foreboding coastal mire of death and with no other option, he crosses through them into the worlds of three very different individuals; the charismatic junkie Eddie Dean, troubled African American rights activist Odetta Holmes and the depraved serial killer, Jack Mort. These three people become incredibly important to Rolands’ journey, but for the life of him, he cannot figure out how. Although I sincerely dug this book, I will admit ‘The Drawing Of The Three’ was more of a slow-burn than a lively call of arms since it begins as an assembling point for Rolands’ intrepid team. 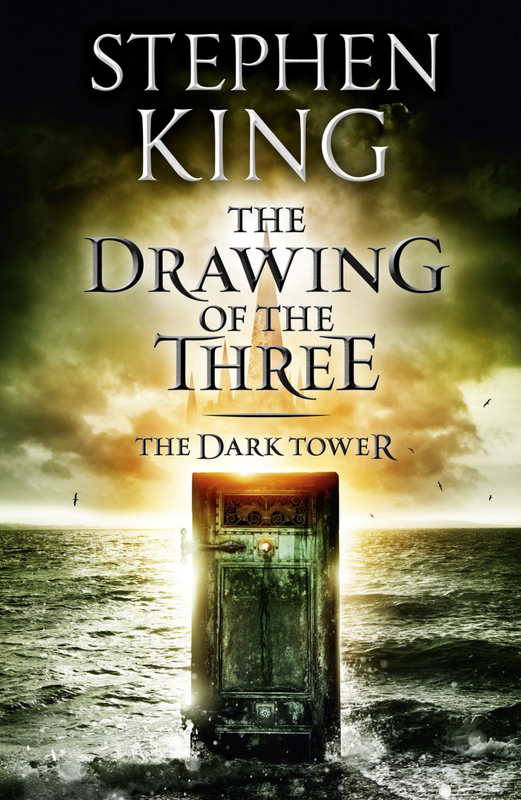 King takes his merry time exploring the personalities that Roland must contend with if he is to stop the Man In Black from causing havoc on the Tower and the worlds it presides over, but that is also something I highly appreciated about this book. Like any wonderful adventure story, the hero needs helping hands in order to achieve his goal, and if these helping hands are granted bodies and minds to care about, all the better. Roland is not a great wise man, in fact he is incredibly impatient and only sees half of the bigger picture, but seeing him interact with Eddie, Odetta and Jack make this novel worth its’ steady pace. I know I sound incredibly vague, but believe me when I say, not everything is as it seems with Roland and his band of merry ka-tet, especially when it comes to Odetta who happens to be harboring an explosive secret that very quickly becomes a huge driving force in the book and one that I found utterly compulsive. The way King writes all of these differing personas on page comes as no surprise in terms of his mastery because nothing is more refreshing than an author who isn’t afraid to break boundaries and the code of PC in the interest of telling a bigger and far satisfying story. King continues to weave a fantastic yet at the same time tangible sense of mystique through this world he has created and seeing him switch environments as Roland travels in and out through the doorways to other worlds is a treat. Special regards must be given to King expanding on Rolands’ own world by introducing the Lobstrosities as being one of the many examples of fauna that inhabit the beach of which Roland finds himself. They come in with the evening tide and every time the waves come crashing in, they hold up their pincers in an Honor Stance before they continue in search of fresh, quivering blood all the while inquiring nonsense such as“Did-a-chick? Dum-a-chum? Dam-a-cham?” all in a planitive, almost tired monotone. Don’t ask me why, because although they are supposed to be terrifying, I personally found them adorable because they are asking you ridiculous questions all the while shredding you to pieces. Can you tell I’m a wee smidge troubled? All in all, ‘The Drawing Of The Three’ is a fine read because like the novel before it, it adds into the building of what will turn out to be a literary voyage. Roland has found those who will accompany him, now time will tell if they will remain loyal to him and the cause of which he strives for. It’s a bit of a shuffle, but the cards will come up in your favor when you read the finale page. The Dark Tower is closer.